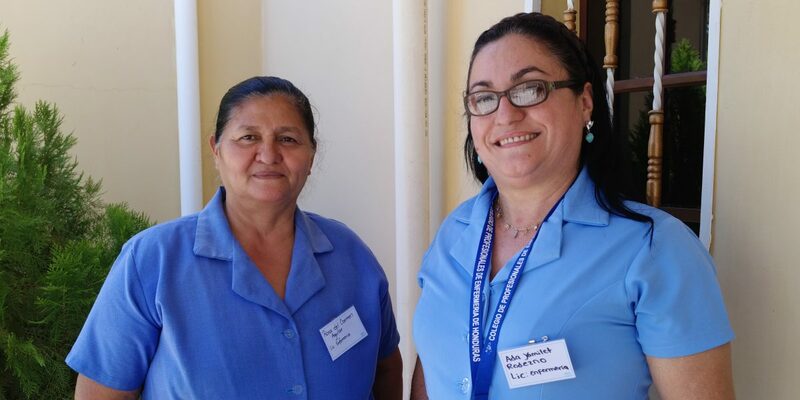 Audits of the Honduran healthcare system are empowering women to take control of their healthcare needs and provide better service for their communities. Numbers represent compact commitments as of Dec. 31, 2017. Since its founding in 2004, the Millennium Challenge Corporation has played a critical role in helping fight poverty and catalyze economic growth across Latin America. Across the region, MCC has invested more than $1 billion in five-year compact programs designed to address the binding constraints to investment and economic growth that are prioritized by our partner countries. MCC’s investments include projects focused on education, agricultural production and infrastructure – like roads, bridges, ports, and electricity – to enable long-term growth, reduce poverty and spur private investment. MCC has invested another $150 million in threshold programs in the region—smaller grants awarded to countries that may not qualify for compact funding but are firmly committed to improving policy performance. MCC is fueling economic growth in El Salvador's Northern Zone through technical assistance, rehabilitation of roads, credit, and investments in people—including vocational education, better water and sanitation services and an improved energy supply. The El Salvador Investment Compact is designed to enhance the country’s competitiveness and productivity through an integrated set of investments in infrastructure, education, public-private partnerships, and regulatory reform. MCC and the Government of Guatemala are implementing a $28 million threshold program to improve tax and customs administration, stimulate more private funding for infrastructure, and provide Guatemalan youth with skills they need in the job market. The program focused on reducing Guyana’s fiscal deficit by improving its ability to collect revenue and better manage its budget. It also helped reduce the number of days and cost for citizens to start and register businesses. MCC aimed to increase productivity in the agricultural sector by increasing the productivity and business skills of small- and medium-size farm employees and to reduce transportation costs between production centers and markets. The $15.6 million Honduras Threshold Program is is increasing transparency and accountability in government public financial management and supporting more effective and transparent public-private partnerships. MCC invested in the western part of the country—the region identified as having the greatest potential for economic growth—via technical and financial assistance and the rehabilitation of roads. The program aimed at reducing corruption by strengthening the rule of law and creating conditions conducive to economic growth and poverty reduction. Paraguay's second threshold program focused on anti-corruption efforts in law enforcement, customs, health care, and the judicial sector. It aimed to raise performance on the Control of Corruption and Rule of Law indicators on the MCC scorecard. The program sought to increase immunization rates of children in rural areas, assist Peru’s Ministry of Health in strengthening information and vaccination management systems, and help Peru combat corruption.